Centuries pass, but one thing remains the same: the way love changes us. Being in love gives us the courage to do things that we would not have dreamed of. Anna Godbersen, the author of The Luxe series, takes us in the 19th century Manhattan and shows us the habits of the social elite. Elizabeth and Diana Holland, Penelope Hayes, Lina, Will, Henry Schoonmaker, are the youngsters around whom a colorful story is build. There is no shortage of intrigue, betrayal, envy, and these are beautifully packed in delusion, in the desire of ascension, and forbidden love. 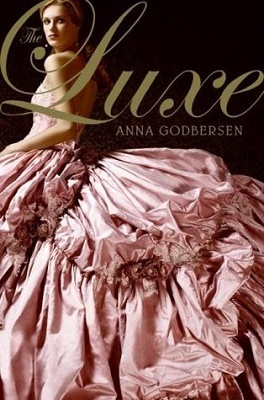 I was thinking that The Luxe is not a masterpiece, it is quite poor in terms of literary skills. The author fails to draw the characters’ profiles, and even scenes, clearly enough. She seems to pull your hand every time you stop to admire a dress or a room, to take you to another character, another setting. But, also, she offers enough detail that keeps the reader captive in the story. Beyond the customs of the time, the sumptuous dresses, and the splendor of the parties, are the young people’s desires and aspirations, their wish to love and be loved. [quote_left]’The headiest loves were the loves that couldn’t be’,[/quote_left] Diana says at some point. It is perhaps one of the most disturbing line in the book. This is the truth of those times, but also our truth, nowadays. All generations get to face the same love problems. How do we manage to be attracted to what we cannot have? Love comes when we least expect, it’s true, but why so? Why does love have to be complicated to be beautiful? In this first book of The Luxe series we walk into a fascinating world, full of mystery. We meet the characters, we choose our favorites. Later, we are invited into another world. But I’ll tell you more about the second book in the series some other time.